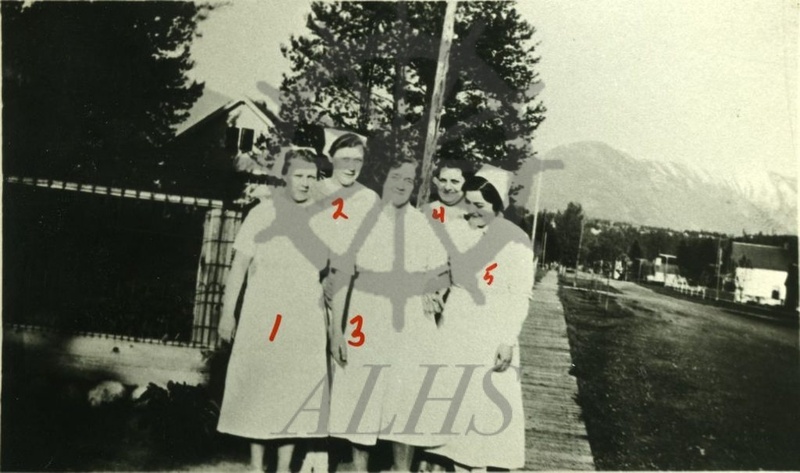 Nurses posing on sidewalk in front of Arrow Lakes Hospital, 715 Broadway Street W, Nakusp, ca. 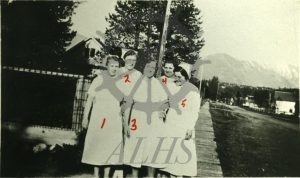 1920s-1940s. Broadway Street at right; hospital off-camera at left.